Grow enrollments & engage like never before with deep-data, powerful analytics, & interactive digital content. Can your institution survive the coming disruption? In the past 180 days - Strut enabled clients to add 1,800,000 B2B student prospects. Students thrive within our game-theory inspired personalized learning experience. 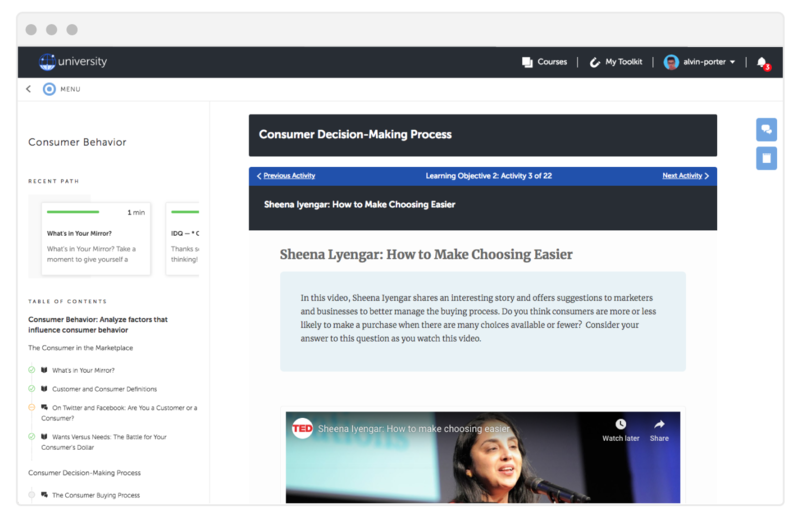 Every step of the way, the platform delivers content customized to the individual learner. Courseware interactions dynamically generate remediations designed to move the learner towards mastery. Each click feeds the unified deep-data lake. Powerful analytics inform faculty on progress and challenges in real-time. 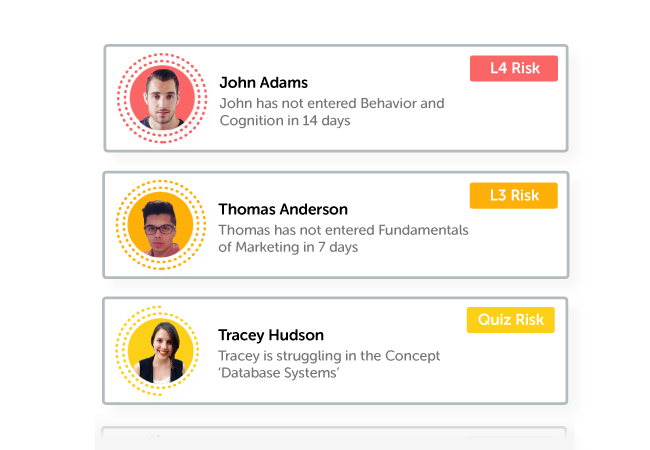 It's critical for all core learning applications, such as personalized learning to be integrated into a single platform; Legacy LMS vendor's leverage LTI and other methods to add core features like personalized learning. Because these external systems are loosely integrated, data remains in off-platform databases. Strut Learning feels so strongly that data is the key to advancing education that we tightly integrate core learning features and store all data in a single database. We express this as the "Power of One", meaning one platform, one data store for all core learning functions and data. A gamified personalized learning experience provides single-click remediation and accelerates faculty diagnostics of student challenges with specific learning content or concepts. Easy to navigate game theory inspired user experience drives action and progress. Active social learning, lesson insights, feedback, and rich digital media boost engagement. Skills mapping create active feedback loops and transparent learner record of progress. Next-Gen analytics, active workflows, and automations transform the faculty experience. 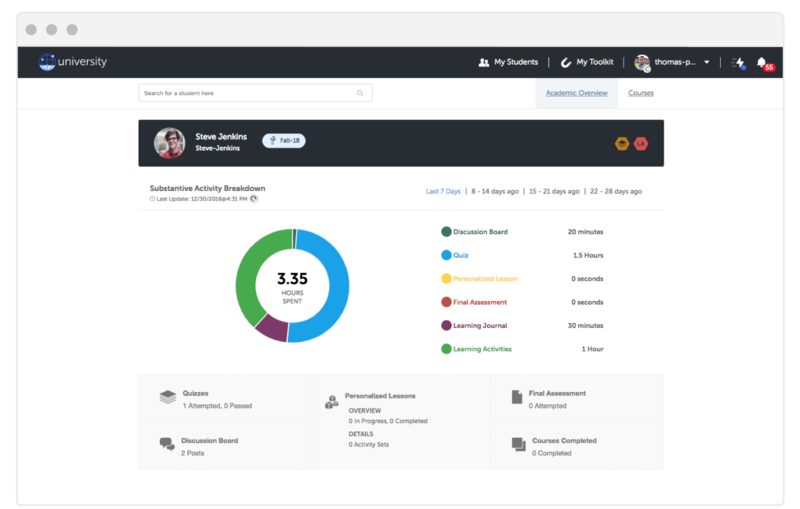 High-fidelity dashboards provide unparalleled transparency and improve student success. 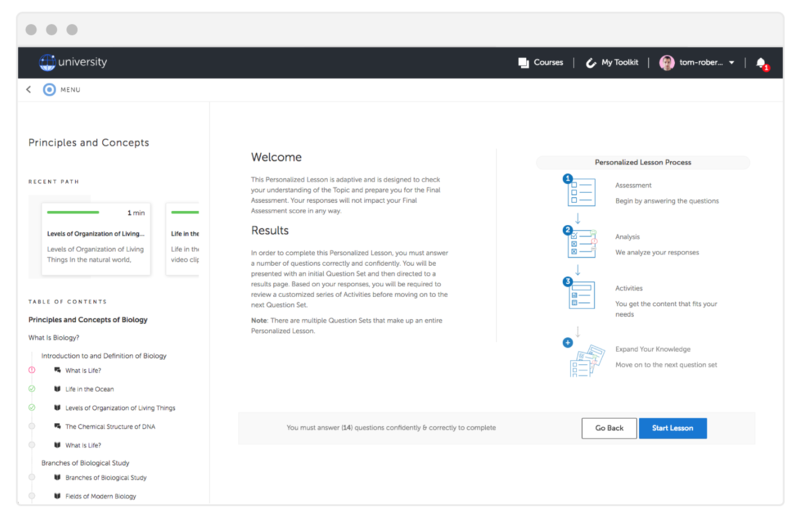 Personalized pathways dynamically create customized lessons and remediations. We believe student success and retention are core LMS functions. So we developed powerful analytics to drive integrated messaging, early alerts and more to keep students on track and moving forward.